It seems silly to write a post about a picture, but I was looking at it earlier and couldn’t help but notice how burned and blackened this baking sheet is. I’m the world’s best dish doer (they’re not clean until they squeak) and this is as clean as these get. I can see where my apple pies bubbled over and burned, and the spots where I’ve made thousands of cookies. And I see myself in this cookie sheet. Not shiny and new, maybe a little banged up and scarred, but strengthened by trials and fire. 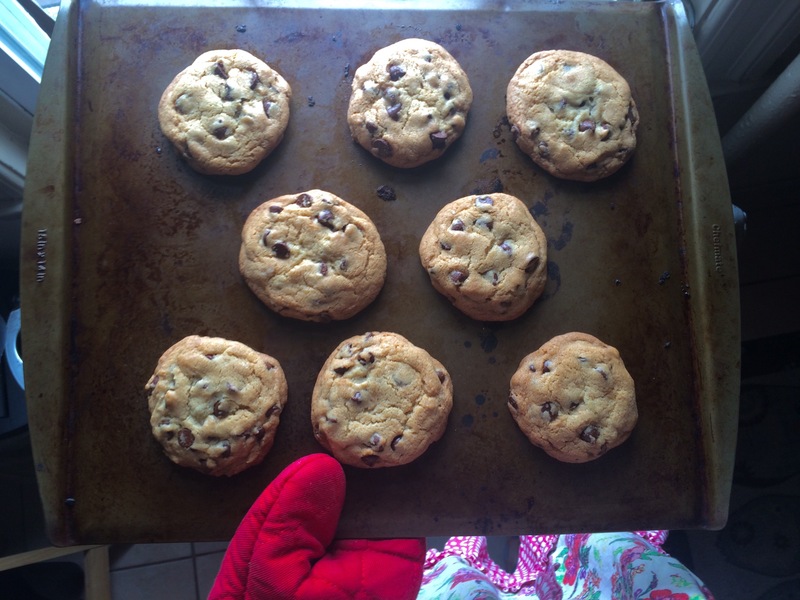 And I’ll tell ya something else – this baking sheet bakes the best damn cookies. Not the new brand name one I have (and never use – it burns the bottoms of my cookies), but this one. So the next time you feel ‘less than’ shiny or brand new or wonder what you have to offer the world, think about this burnt, old baking sheet. It might not look like much, but it’s done a lot of good for a lot of people. So wise, my friend, so wise.